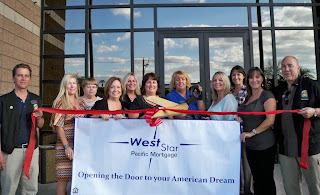 The Lake Havasu Area Chamber Ambassadors held a ribbon cutting ceremony for Weststar Pacific Mortgage celebrating its new location. Attending the ribbon cutting from left to right were, Steve Goodman, Durana Grapoli, Carole Muehlbauer, Debbie Leonhardt, Vivian Vehrs, Yvonne Pluta, Mary Johnson, Amy Adams, Dara Paddock, Sharone Jerzy, and Mike Logan. 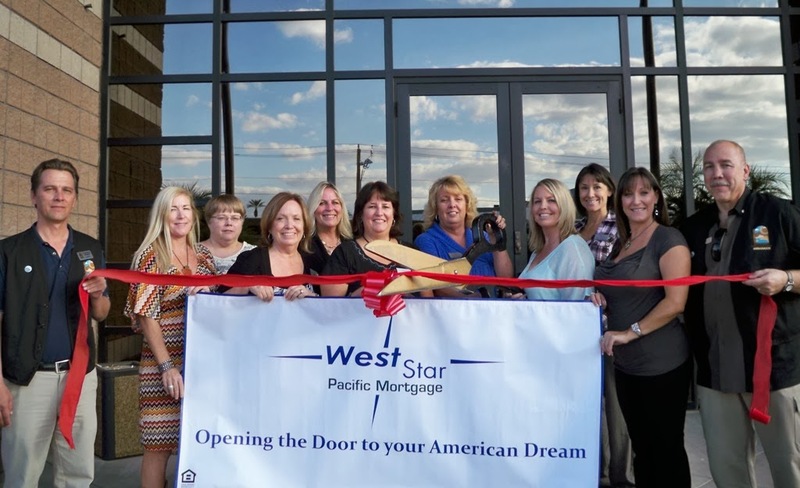 Weststar Mortgage Corporation is a privately owned company established in 1983 in Albuquerque, NM where it maintains its corporate headquarters today. Weststar’s loan servicing continues to offer service and holds in excess of two billion dollars in loans. Today, Weststar Mortgage originates retail mortgage loans in over 38 states and in 2012 Weststar was recognized by Mortgage Executive Magazine as one of the top 50 lenders in the country. For more information contact Weststar Mortgage at 928-453-4663.